Abstract: Don't let mobility challenges stop you from doing the things you enjoy doing. Airwheel is dedicated to producing smart vehicles for everyone to let all enjoy a free intelligent life and H3S automatic visual following chair will help people with reduced mobility. For one thing, the high quality is the most important feature to make Airwheel success. For another, the diversity of Airwheel products is an essential part of its popularity. 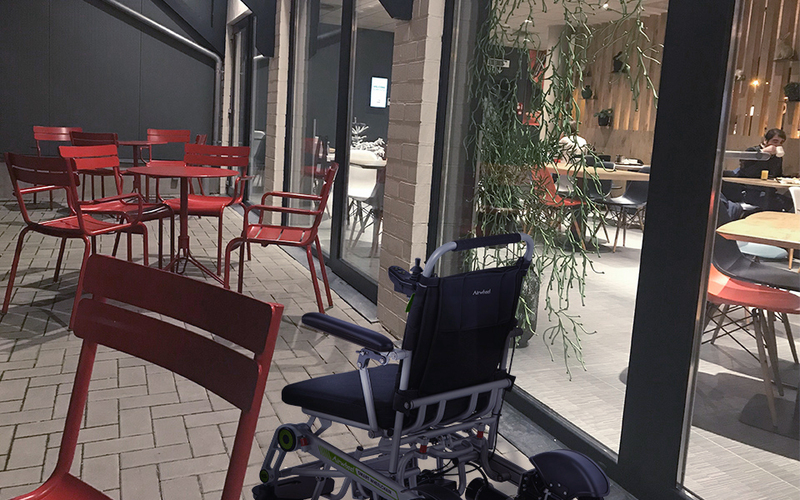 In addition to meeting the travel demands of the majority, Airwheel also considers the travel issue of the old and the weak, say the H3S folding wheelchair by one button. 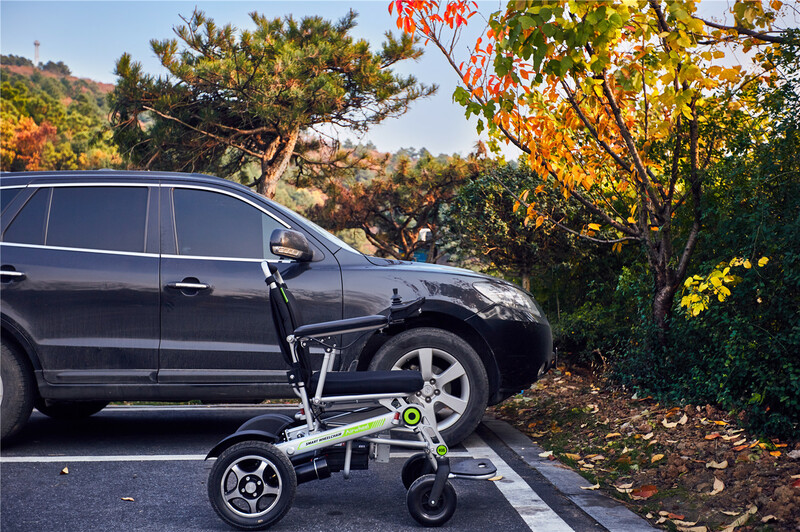 Don't let mobility challenges stop you from doing the things you enjoy, like going to shopping, museums, amusement parks, family gatherings, traveling or just being able to have more independence. 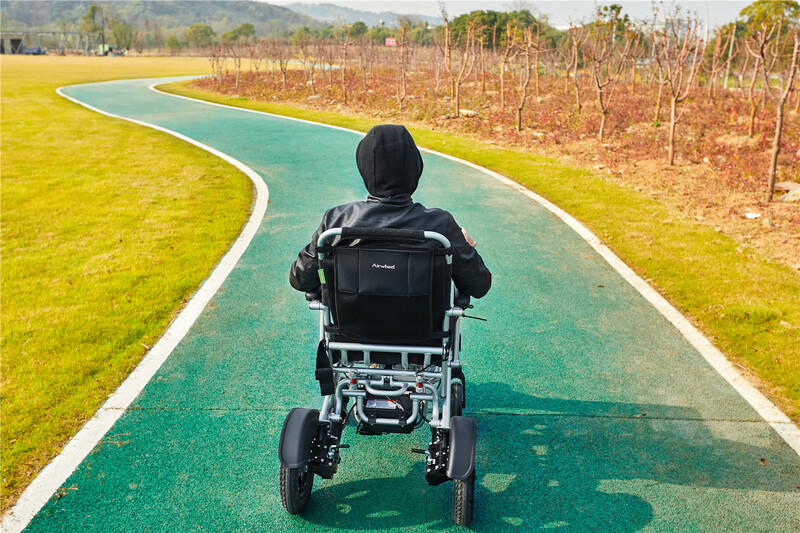 Airwheel H3S robot electric wheelchair allows you to get around easily, safely and with a smoother ride than the other models. It supports up to 130kg. It easily folds and unfolds in seconds thanks to the automatic folding system, and can be easily transported in most vehicles. It is equipped with high quality lithium-ion battery, the newest and most efficient battery technology. It features an interchangeable joystick controller reducing learning difficulty to make it accessible to everyone, and an adjustable foot-rest, which provides for maximum comfort. The controller can be stored either in left or right handlebar in order to adapt to different riders' habits. Also, the H3S robotic chair's dual ride modes are worth mentioning--electric mode and manual mode. The electric mode refers to riders can travel by themselves, as it is will be powered by the battery and motor which gives riders an effortless ride and allows riders to stop and chat freely. The manual mode requires labor to push it and riders can enjoy the company of friends and families in this mode. To riders' surprise, Airwheel H3S motorized chair can follow riders automatically and realizes remote control with the newly developed intelligent control system. H3S is ideal for people desiring more power and support for easier mobility. You can experience more with the Airwheel H3S lightweight and visual following wheelchair.